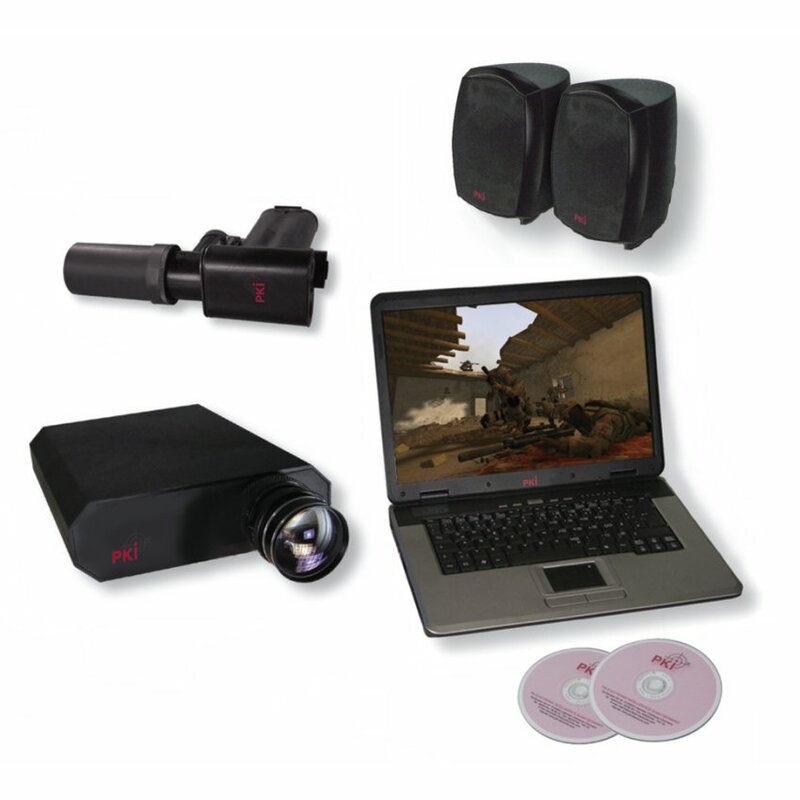 This laser shot simulator is designed for virtual training of appropriate reactions in rapidly evolving situations which may occur in hostile environments. Applicable tactics are practiced by approaching or confronting persons in lifelike scenarios e.g. identifying the target, making an instantaneous judgement as to the use of deadly force and place the shot. Various types of weapons can be chosen for training. Furthermore PKI 7480 teaches handling with prescribed courses of fire. PKI 7480 comes in a rolling, weather-proof Pelican case.